The college admissions scandal has brought concerns about meritocracy to the fore, but sociologists know that the myth of meritocracy also extends beyond college and into the workplace. Recently Daniel Laurison talked to The Atlantic about his new book, The Class Ceiling: Why It Pays to Be Privileged. Laurison and his coauthor, Sam Friedman, studied how elites in London profited from their privilege. In addition to being able to rely on financial assistance from parents when they were starting out in their career, Laurison and Friedman found that the culture and personnel of professional firms benefited upper-class workers. 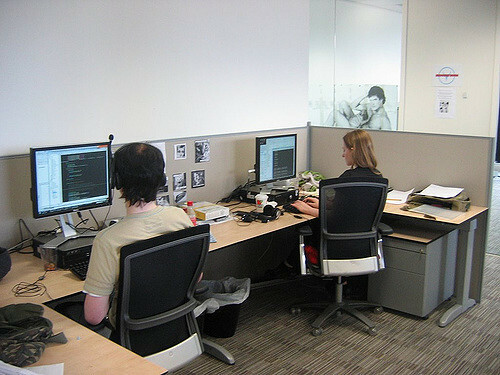 Laurison and Friedman advocate for shifting workplace culture to be more similar to codes of conduct familiar to middle and working class individuals, not simply trying to teach upper-class codes to those who are trying to climb the ladder. And, of course, they note that if wages weren’t so stratified both within and between workplaces there wouldn’t be such extreme economic consequences to these systems of informal knowledge and networking.